For Girls, Riedell Skate Sizing = US Girls Shoe Size. For Boys, add 1.5 sizes to US Boys Shoe Size. Ex: Boy with Size 11 shoe will buy a 12.5 skate. Girl with size 11 shoe will buy a 11 skate. Graceful up to date convenience. Foam-sponsored velvet lining with sturdy upkeep unfastened uppers stay toes relaxed. Light-weight PVC soles make for easy skate care. 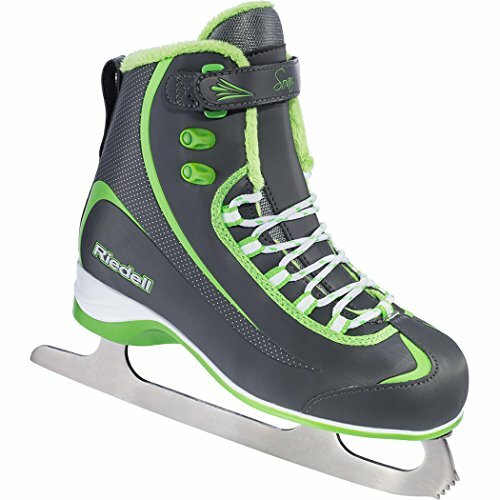 For Ladies, Riedell Skate Sizing = US Ladies Shoe Measurement. For Boys, Upload 1.5 sizes to US Boys Shoe Measurement. Ex: Boy with Measurement 11 shoe will purchase a 12.5 skate. Lady with Measurement 11 shoe will purchase a 11 skate.